The amount of hustle with no guarantee of any kind of security or long-term wealth. Dealing with an unrelenting inferiority complex. Writing (and re-writing) website copy. Trying to explain why your product is different from the dozens of others. Boosting yet another Facebook post and hoping that this one yields some sales. Scouring the planet for the right team members who will rally around your vision. Yep, there’s no denying that the business game will test your ability to KNOW and COMMUNICATE your value and vision effectively. Effectively being the key word. It's not enough just to write a mission statement, value prop, or customer persona. You need these items to align in a way that makes your audience subconsciously identify with them. Many businesses face the same issues: they spend money and time on social media, PR, advertising, influencers, etc. but come up short on sales. When you don't know who you are as a brand or have difficulty communicating it, it effects your culture internally too. I know because I've been there. When I started my company less than two years ago, I spent months spinning my wheels, working late nights and trying to figure out why it wasn't working. I knew my value but others didn't get it. I'd have interest, I'd create beautiful proposals, I designed a lovely/simple website but my potential clients weren't buying. I nearly quit after my 4th month of NO INCOME. Then something amazing happened, I built what is now my Mini Brand Sprint, an intensive strategy session based on about 10,000 hours of research into previous clients, successful brands, and books on marketing and branding. I put my own business through my machine and immediately booked my first client. Then in the next two months I booked 3 more. After that, I began seeing significant increases in my revenue and am now on track to quadruple my business this year!!! 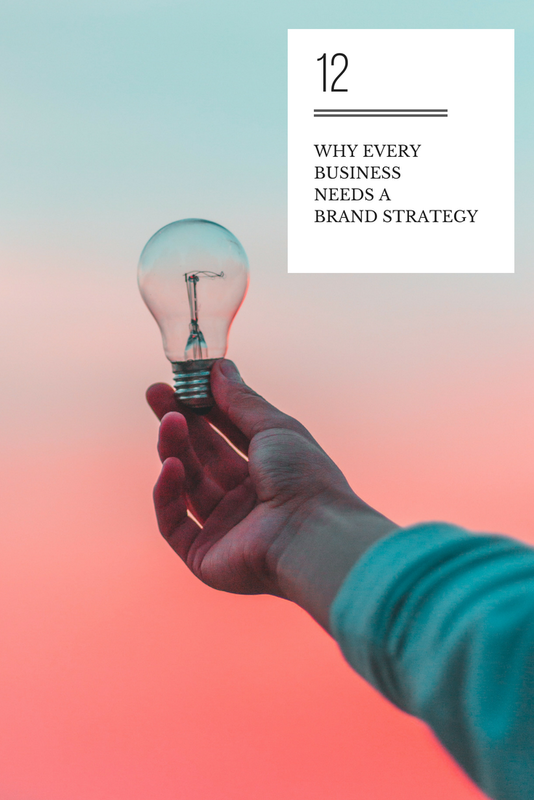 WHY OUTSOURCE YOUR BRAND STRATEGY? Do you cut your own hair? Change your own oil? Groom your dog? Clean your house? I'm willing to bet you don't and it's not because you can't or you don't want to. It's probably because of two reasons 1. You know someone can do it better. OR 2. You know it will take you more time how to figure out how to do it well than to outsource it. What's funny is that you'll spend hundreds (sometimes thousands) on these things and they do NOTHING to move your business along. No doubt, you are an absolute pro at your actual product or service. You know you are. Unfortunately, when it comes to marketing, it's not the best product or service that wins. It's the product or service that's easiest to understand and is most memorable that wins. Unless your previous position was a marketing exec or branding expert, you're going to need the support of someone who not only knows how to strategically position your brand, but how to write messaging that SELLS. Because it doesn't matter how great your product is or how beautiful the experience if nobody is using it. You have to get the customer to buy in order to know that it's great. A rock-solid brand strategy with an experienced agency will not only save you TIME (and help you skyrocket your sales and growth), it will save your sanity. Instead of spending years trying to get to these answers yourself. WHAT'S IN A BRAND STRATEGY? 2. Market fit: "What's the main problem your customer faces as it relates to your product?" (plus any internally problems the customer faces as a result). 4. Value Prop: “Why should they care?” (what sets you apart from the noise and how are you different). It's through this lens that we start to develop their messaging, voice and visual brand. If you're in a competitive or saturated market, if you've been spinning your wheels but not getting the ROI on your marketing that you want, if you've never worked on a brand strategy before, or if you're trying to appeal to a new audience, reach out to us! We've helped 100s of brands find clarity in their identity and access stronger positioning and digestible messaging that has translated into sales!! !